Incarceration should have nothing to do with why anyone would vote for Proposition 64. From the Sacramento Bee comes a recent comment about Prop 64: Proponents of Proposition 64, the initiative to legalize marijuana, say it makes no sense to incarcerate people for marijuana possession. We couldn’t agree more. We also think it’s a bogus statement. Opponents write in their ballot argument that “not one single person remains in California’s prisons solely for simple marijuana possession.” They base that statement on a review by the California Department of Corrections in which the department’s “staff were unable to locate anyone in prison with MJ offenses where the weight was less than an ounce,” writes Albert Rivas, of the department’s external affairs office. In other words, no one goes to prison in California for simple possession. Read more here. Stoppot2016 warns that voters in nearly all states need to guard against this argument. Marijuana is strictly decriminalized in California and carries no more than a $100 fine. Police do not spend time on minor pot offenses. Instead it is treated like a traffic offense and even speeding tickets carry higher fines. This photo and post on social media is typical of the marijuana lobbyists. Not only do the lie that pretends innocent people end up in jail and have their lives ruined for a single mistake. Advocates also think it’s ok to steal, and have no fear of recrimination for stating it. 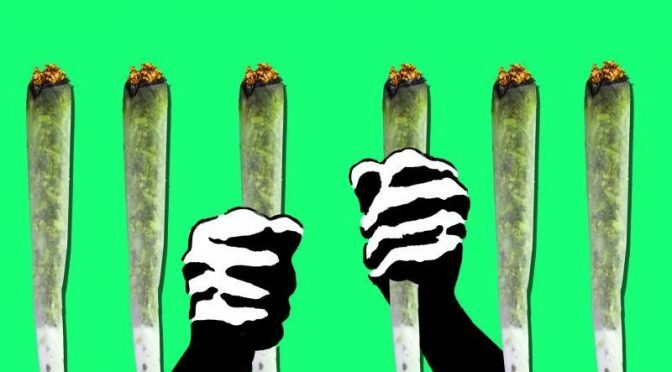 California is not the only place where activists use lies about incarceration to push marijuana legalization. The ACLU, MPP, DPA and NORML push the misconception for political advantage and win supporters this way. It’s part of their national strategy. They don’t tell us about the other crimes committed while on drugs. If there’s a story about someone in jail just for marijuana anywhere in the United States, ask about the missing information. 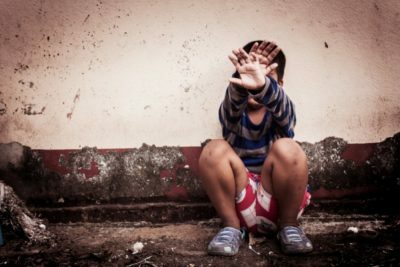 Did the person commit another crime, or was there a plea bargain? Was there intent to sell, or why was the person caught? These questions may bring you closer to the truth, and to the deception politics that have allowed marijuana to be legalized. 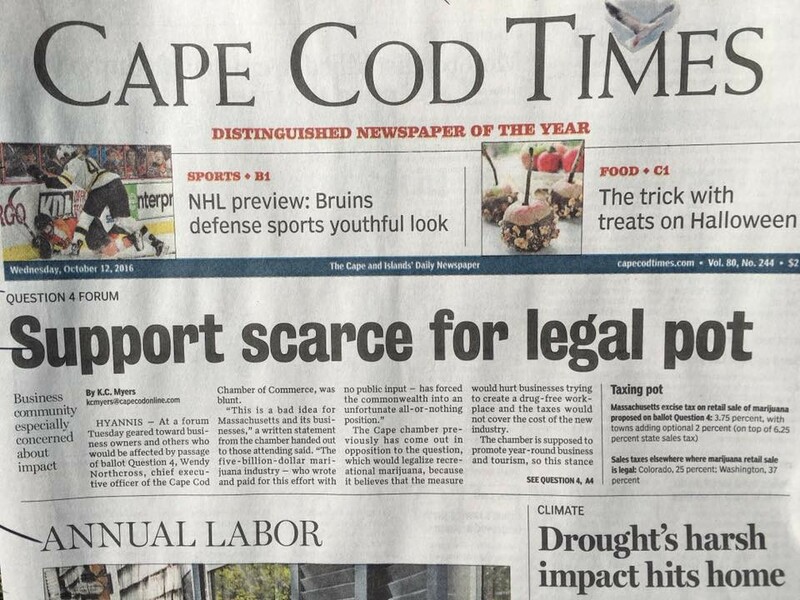 A frontpage headline in Massachusetts on October 12, 2016 read “Support scarce for legal pot.” The same day Pew Research released a survey showing 57% in favor of legalization. Sometimes the media and polling plays a part in the deception. Last week Pew Research released a survey asking about marijuana legalization. 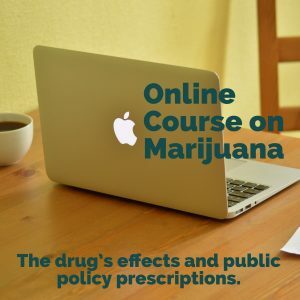 The conclusion was that 57% of American adults support marijuana legalization. However, on the same day, a headline in Massachusetts, read: Scarce Support for Legal Pot. Obviously, there was a disparity between the meaning of the question and the reality of the responses. The survey respondents probably did not know that all 5 ballots to legalize marijuana involve commercialization. 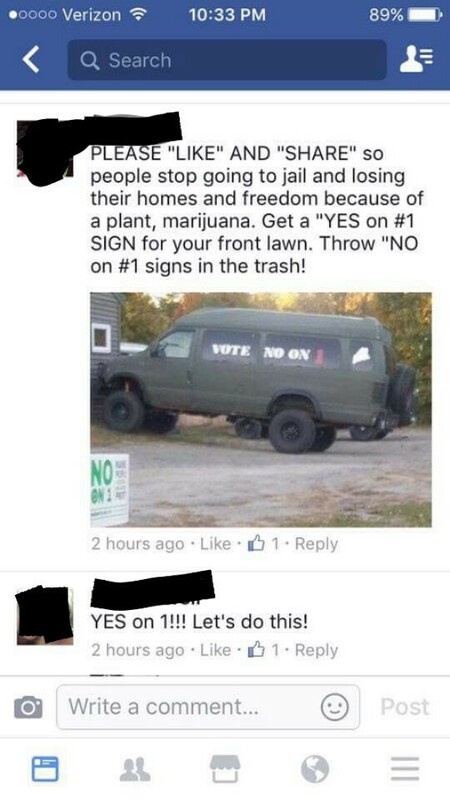 They probably didn’t know legalization means that your neighbors will grow pot and that pot shops will move into the neighborhood. They did not know that it may be hard to cap the strength of marijuana and the marijuana candies that will be sold. Yes, marijuana would be regulated, but voters want to know if regulation works. People in Massachusetts investigated and learned some things from states with legal pot. Marijuana advocates ask for sympathy. They blame others for making them criminals. Since incarceration for simple possession is a lie legalization campaigns want you to believe, watch out. Read more about these deceptions on the LegalLies website. You are a special kind of ignorant. This article is nothing but lies. And you put so much effort into it! Imagine what you could do with the truth! Then you need to go back to the Sacramento Bee Reporter who first stated that incarceration statistics are false. They went through statistics to find out. Wonder why you think your statistics are better????????? ?